We all know I’m an all-neutrals-all-the-time kind of girl. I’ve shared my love of neutrals many times, but at the end of the day you can’t just wear black and beige 24/7. I love a bold pop of color, especially when that color is PINK! I bought this pink faux fur jacket on major sale after Thanksgiving. My intention was to wear it on New Year’s Eve, and I originally thought it’s a good thing it’s on sale, because I don’t see myself wearing it too often other than the event I planned for. Oh how wrong I was. I found myself styling this jacket a ton of different ways, which is no big surprise since it can coordinate with literally anything in my monochromatic closet. I love that it can be styled over a formal dress as I did on NYE, or dressed down over jeans as I’ve done here. Regardless of how I wear it, it always makes a huge statement, and I am surprised at how many people come up to me asking me where I got it. It’s that last bit that inspired me to write this post. I absolutely hate to disappoint people who ask about my outfit by having to say, “It’s sold out.” So, I’ve saved multiple dupes of this coat over the past couple months just so I can have some sort of consolation link at the ready. 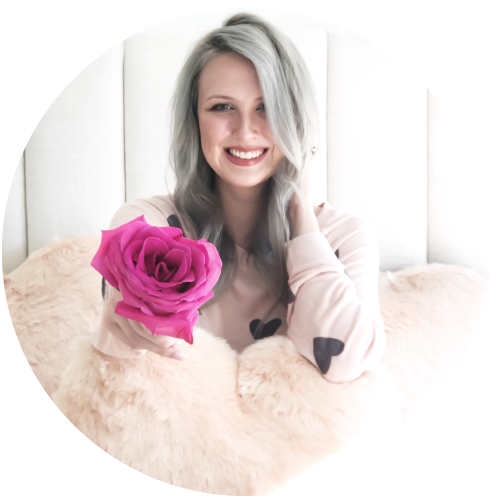 For this post, I linked all of the best dupes AND other pink scarves and jackets I’m currently loving. With Valentine’s Day coming up, one of these could be the perfect piece to complete your date-night look! Scroll down to the ‘Shop the Post’ carousel to shop my picks! What do you guys think of pink outerwear? I love that these items are feminine and girly, but also bold and chic at the same time! Let me know your thoughts in the comments! P.S., if you love pink as much as me, it doesn’t have to stop at your outfit! Check out my post on Valentine’s Day home décor for cute v-day themed home items!